These four taxa are traditionally classified in the nonmonophyletic "Gruiformes." Eurypygidae and Rhynochetidae are sister taxa (Chap. 3), but their closest relatives are unknown, as are those of the Otididae and Mesitornithidae. 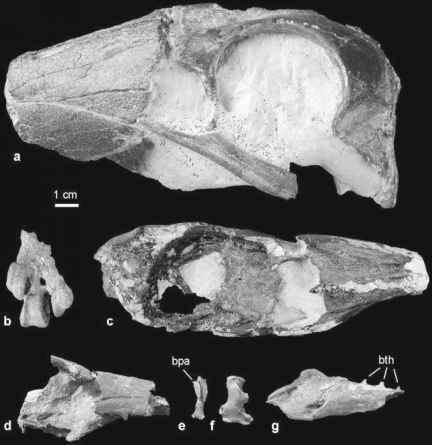 According to Kurochkin (1976), as yet undescribed remains of the Otididae were found in late Oligocene deposits of Kazakhstan. Mourer-Chauvire (2006) also lists Otididae from an unknown horizon of the Quercy fissure fillings. Olson (1989) and Weidig (2003) considered a specimen from the Green River Formation, which was figured by Grande (1980, Fig. III.23), to be a representative of the Eurypygidae, whose single extant species is restricted to South America. The New Caledonian Rhynochetidae and the Madagascan Mesitornithidae have no Paleogene fossil record.